Vulnerable or susceptible groups are mentioned in most reviews and documents regarding noise and health. But only a few studies address this issue in a concrete and focused way. Groups at risk most often mentioned in the literature are children, the elderly, the chronically ill and people with a hearing impairment. The other categories encountered are those of sensitive persons, shiftworkers, people with mental illness (e.g., schizophrenia or autism), people suffering from tinnitus, and fetuses and neonates. The mechanism for this vulnerability has not been clearly described and relevant research has seldom focused on the health effects of noise in these groups in an integrated manner. This paper summarizes the outcomes and major conclusions of a systematic, qualitative review of studies over the past 5 years. 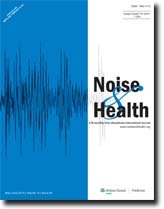 This review was prepared for the 10 th Conference on Noise as a Public Health Problem (ICBEN, 2011). Evidence is reviewed describing effects, groups assumed to be at risk, and mechanisms pertaining to noise sensitivity and learned helplessness. Hearing loss is the most common sensory impairment in older people, and may have social and psychological consequences, such as social isolation, frustration and depression. Noise-induced hearing loss (NIHL) is an interaction of both genetic and environmental factors. Some studies have led to the identification of possible NIHL susceptibility genes. The aim of the present study was to investigate whether the polymorphism of the interleukin (IL)-1β gene at position + 3954 was associated with complaints of hearing loss due to occupational exposure. The sample was composed of elderly people with hearing loss (age ≥ 60 years) divided into two groups: 99 with occupational exposure to noise and 193 without exposure. Information on occupational exposure to noise was obtained through interviews using a semi-structured questionnaire. Hearing acuity was measured from 500 to 6000 Hz and the IL-1β genotype was obtained by the polymerase chain reaction- restriction fragment length polymorphism technique. 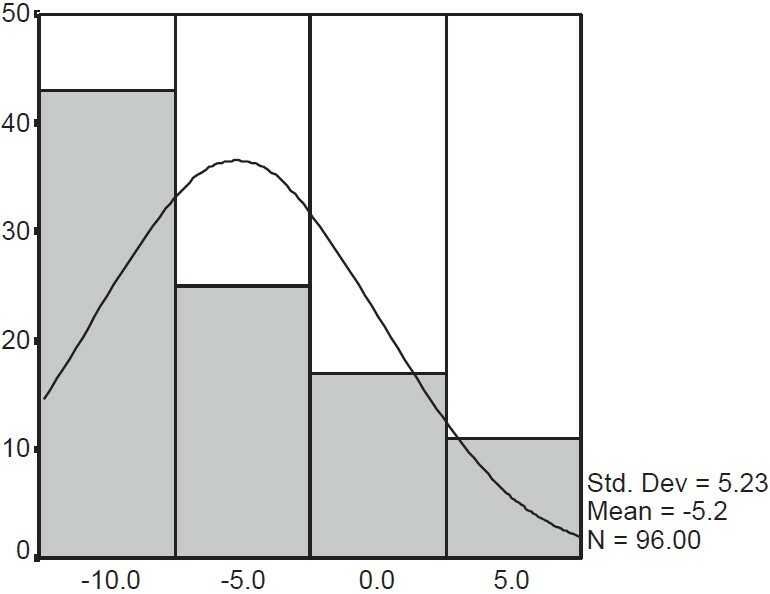 Differences in allelic and genotypic frequencies, and the association between genotypic frequencies and complaints of hearing loss due to occupational exposure, were analyzed by the Chi-square test at the 5% significance level. Fifty-one percent of the elderly were homozygous for the ancestral allele (C), 17.2% were homozygous for the polymorphic allele (T) and 31.8% were heterozygous. The frequency was found to be 67-33% C to allele T. There was no significant association between polymorphism in gene IL-1β and hearing loss associated with occupational exposure (χ2 = 0.538; P = 0.676). No association was found with the polymorphism of the IL-1β +3954 C/T gene and hearing loss associated with the occupational noise exposure history. Studies examining the association between road traffic noise and blood pressure in children are scarce. Nighttime noise levels and window orientations have not been considered in most previous studies. 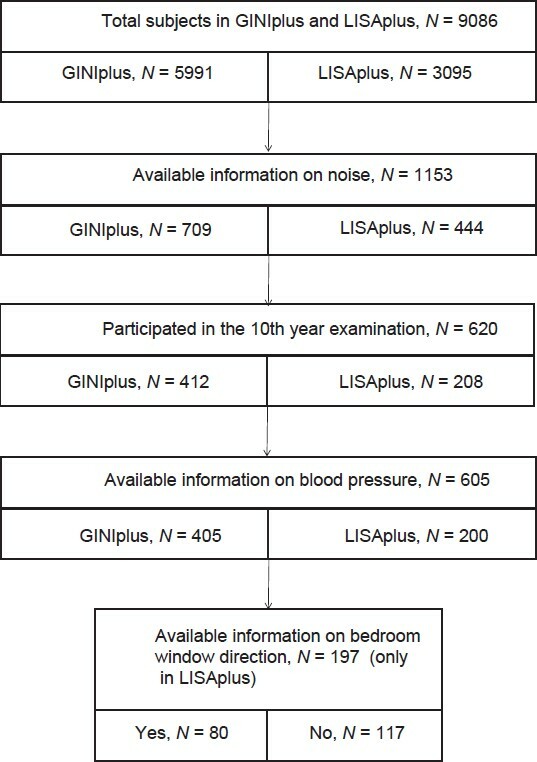 Investigate the association between road traffic noise exposure and blood pressure among children, and investigate the impact of bedroom window direction on this association. We measured blood pressure in 605 children aged 10 years from two Munich cohorts. Demographic and health information was collected by parent completed questionnaires. Road traffic noise levels were assessed by day-evening-night noise indicator "Lden" and night noise indicator "Lnight". Minimum and maximum levels within a 50 m buffer around child's home address were derived. Generalized additive models were applied to explore effect of noise levels on systolic and diastolic blood pressure (SBP and DBP). The orientation of child's bedroom window was considered in sensitivity analyses. DBP was significantly associated with the minimum level of noise during 24 h (Lden_min) and nightime (Lnight_min). Specifically, DBP increased by 0.67 and 0.89 mmHg for every 5 A-weighted decibels increase in Lden_min and Lnight_min. After adjusting for Lden_min (Lnight_min), DBP of children whose bedroom window faced the street was 1.37 (1.28) mmHg higher than those whose bedroom window did not, these children showed statistically significant increased SBP for Lden_min (3.05 mmHg) and Lnight_min (3.27 mmHg) compared to children whose bedroom window did not face the street. Higher minimum levels of weighted day-evening-night noise and nighttime noise around the home residence may increase a child's blood pressure. Previous research has indicated that sensory sensitivity/intolerance to a specific modality may be part of a more general environmental hypersensitivity, and possibly mediated by stress. This study investigated the relationship between noise sensitivity, perceived stress, and odor sensitivity in a group of men. A quasi-experimental design was used. One-hundred and thirty-four male undergraduate students completed Weinstein's noise sensitivity scale from which a low-sensitivity group (n = 16) and a high-sensitivity (n = 16) group were formed. These two groups were screened for loss in auditory and olfactory detection sensitivity, and completed the perceived stress questionnaire (PSQ) and the chemical sensitivity scale (CSS). One-way analysis of variance and Spearman correlational analyses were performed. 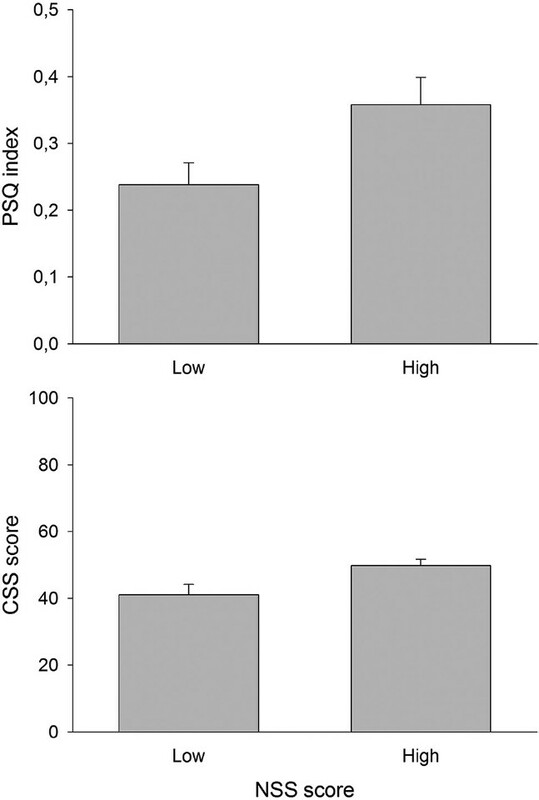 Significantly higher scores on the PSQ (P < 0.05) and the CSS (P < 0.05) were found in the high noise-sensitivity group compared to the low noise-sensitivity group. These findings raise the question of whether the relation between noise and odor sensitivity reflects a general environmental sensitivity. Evaluation of speech perception in noisy environments for normally hearing children was conducted in order to provide normal data for speech perception testing in children with hearing impairments thus improving early intervention alternatives for Mandarin-speaking children with hearing impairments. The speech perception abilities of 174 developmentally normal children ranging aged 2-5 years, in four age groups, were evaluated in environments that were quiet or with high levels of competing noise using the Mandarin pediatric speech intelligibility (MPSI) test. The mean score of MPSI between the four age groups showed notable statistical differences, including a variation in mean score between the four age groups, clearly indicating that the speech perception abilities of young children in noisy environments improved greatly with age, most notably between the ages of 3 and 4 years old. Speech perception ability in noisy environments was shown to be significantly, but weakly, related to age, implying the presence of other, possibly environment factors, in speech perception development. Furthermore, no statistically significant difference between boys and girls was noted in the experimental MPSI scores. The ability of children to increasingly perceive speech in environments containing high competing noise levels was shown to gradually and progressively increase with age. These results indicated that the developing Mandarin speech perception abilities in noisy environments in normal hearing children develops substantially after the age of 3-4 years, suggesting that similar age ranges may be even more critical intervention points for children with hearing impairments. More studies are still needed to confirm that. Singapore is a city-state of 5 million people. The entire urban population has expanded from 4.4 million to 5 million in a matter of 5 years. Because of the scarcity of land available, more major roads and expressways are being run close to residential developments, exposing the residents to expressway noise. Recognizing the problems of noise in a high-density urban society such as Singapore, the National Environmental Agency of Singapore (NEA) has set prescribed noise limits for residential areas. The purpose of this paper is to analyze the noise level in one such development that is adjacent to an expressway, examine the effect of building height on noise and to compare the results with the NEA standards. The paper concludes with the implications of the results and a discussion on the solution to the problem. Fear or anxiety due to noise produced in the dental clinic is rated third among the reasons to avoid dental visits. The aim of the present study was to determine anxiety levels associated with noise in a dental clinic. The study was done using a survey questionnaire containing 10 questions and was divided into two parts. The first part included demographic information such as name, age, gender, and school; the second half included questions regarding patient's feelings toward noise in the dental clinic and its possible link to dental anxiety. Two-hundred and fifty children and adolescents of age group 6-15 years participated in the study. Results of the study showed that 50% of females, 29% males avoided a visit to the dentist because of anxiety and fear, 38% subjects of age group 6-11 years reported that sound of the drill makes them uncomfortable, followed by having to wait in the reception area. Gender gap was also observed with more females feeling annoyed than males on the 1-10 annoyance level scale. More than 60% felt "annoyed" to "extremely annoyed" by noise in the dental clinic. 45% of subjects preferred watching television to cope with such noise. This study concludes that the noise produced in dental clinic is anxiety provoking and significantly contributes to avoidance of dental treatment and the best way opted by the majority of subjects to overcome this anxiety was audiovisual distraction method. The aims of this study were to evaluate the effects of administration of Vitamins C and E on fertilization capacity in rats exposed to noise stress. 40 adult male rats were randomly divided into 5 equal groups. 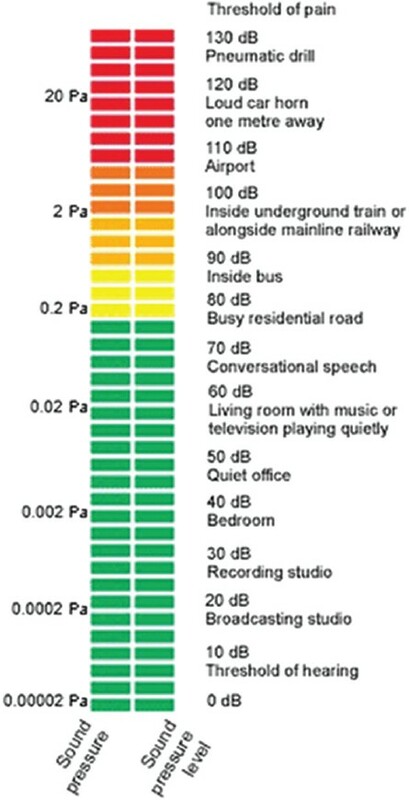 Group 1 as controls who were not exposed to noise and groups 2-5 exposed to noise with 90-120 dB intensity and 300-350 Hz frequency from 7 pm to 7 am everyday for 50 days. Group 2 exposed to noise and did not receive Vitamins. Group 3 received vitamin C, Group 4 received Vitamin E. Group 5 received Vitamins C and E concomitantly. After 50 days, serum Follicle-stimulating hormone (FSH), Luteinizing hormone (LH) and testosterone were calculated. Then each rat was left with three female rats for mating. Pregnant females were sacrificed on the 19 th day of pregnancy and evaluated for the presence and number of viable, dead and absorbed fetuses. The level of FSH, LH and testosterone significantly decreased in rats exposed to noise (P < 0.05). By administration of Vitamins in groups 3-5 we observed that the level of hormones significantly increased in compared to group 2 (P < 0.05). The fertilization capacity of male rats in groups 3-5 significantly increased in compared to group 2 (P < 0.05). There was significant difference between groups 1 and 2 in case of fertilization capacity (P = 0.001). The data in this study strongly suggests a negative role for noise stress on level of FSH, LH and testosterone level and also fertilization capacity of male rats. To complement the information it is suggested that this research be done on human samples. The objective of this research was to study musicians' abilities to estimate the risk to obtain a hearing loss. Twenty-two professional musicians mainly playing classical music wore dosimeters during 2 working weeks. They also wrote a diary describing all their musical activities and tried to judge the percentage of time that every activity was harmful to their hearing. Half of the musicians seemed to be capable to reasonably judge the harmfulness of the music that they were exposed to. They started to judge the levels to be risky at 80 dB(A) and regarded themselves as sligthly more susceptible to noise induced hearing loss than normal.